Nice location on countryside. Nice road. Rooms were nice, clean and spacious. Everything needed available. Good for families with kids. Beautiful, quiet countryside location. Kurt was wonderful. Had swings, trampoline, and toys for the kiddos. Very pleasant, cozy place. Nice, helpful owners. Kid very happy with the toys and the playground. Close to Legoland, with a car. The place is great. Location in the middle of forest. 10 minute to Legoland or down town. The owner is so friendly! Sehr gepflegtes Haus in flughafennähe, wir konnten unser Auto dort stehen lassen und sind mit der Taxe zum Flughafen gefahren. Zeer vriendelijk ontvangen door een zeer lieve vrouw. De accomodatie was zeer netjes en gelegen in een zeer rustige (bosrijke) omgeving. Zeer mooie ligging in het platteland. Es war wirklich sehr toll, gemütlich, sauber und sehr freundlich. Wir kommen sehr sehr gerne wieder.Von hier aus kann man tolle Touren machen. Sehr gemütlicher Aufenthaltsraum und gut ausgestattete Küche. Alles geschmackvoll eingerichtet. Lock in a great price for Billund Rooms – rated 9.1 by recent guests! Set a 10-minute drive from Legoland Theme Park, this guest house offers simply furnished rooms with free Wi-Fi and parking on site. 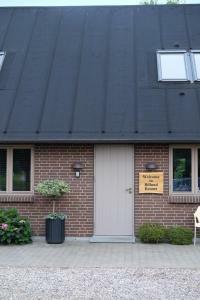 Billund Rooms apartment features 2 bedrooms, a kitchen, living room, dining area and private bathroom. Free tea and coffee are available at all times. Guests can relax in the TV lounge or have a BBQ on the shared terrace. The garden has a swing set and a trampoline. Billund town center is a 15 minute drive from Billund Rooms. Givskud Zoo is 12 mi away and Billund Airport is 3.3 mi away. When would you like to stay at Billund Rooms? 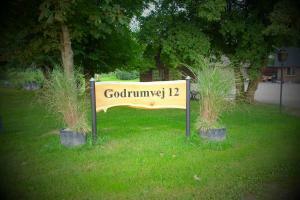 House Rules Billund Rooms takes special requests – add in the next step! Please inform Billund Rooms of your expected arrival time in advance. You can use the Special Requests box when booking, or contact the property directly using the contact details in your confirmation. No public transport available - need to rent a car or bicycle to get there conveniently. Would not recommend for infants. Rooms are upstairs with no protection from the stairs. No high chair. All heads are charged per night whether they utilize a bed or not (i.e. our children are 1 and 3 both charged full adult fare). I waited to review this hotel until we completed our Denmark trip to see if this was the standard across the country but this was the only hotel we stayed at with this policy. We brought our own travel crib since he’s familiar and happy to sleep in ours. Also, the shared living area which is upstairs has the bathroom downstairs which I could see being difficult for some elderly people (our father for example would have liked to know this information). Also garage is connected to guest living area with tending and yard work needing to be done so it is a bit loud during the day (I’m assuming most ppl won’t need to utilize the apartment during the day however our littlest one needed a nap). I could not have imagined staying there with other ppl as there’s no storage in the bedrooms (coats, luggage, etc) so you’re kind of forced to use the main area. Also, it’s very loud between kitchen area and bedrooms. Not only having to make the bed but we were expected to strip the bed after our stay! Everything was OK. Only one comment. It would be great to have instructions for the stove and clima. It took us a little bit to understand how does it works.